Your card is a fabulous party!! I love these colours together!! And black balloons – who’d have thought they’d look so so so amazing!!! Black and lemon lime twist is pretty awesome together!! PS, happy wedding anniversary to you!!! 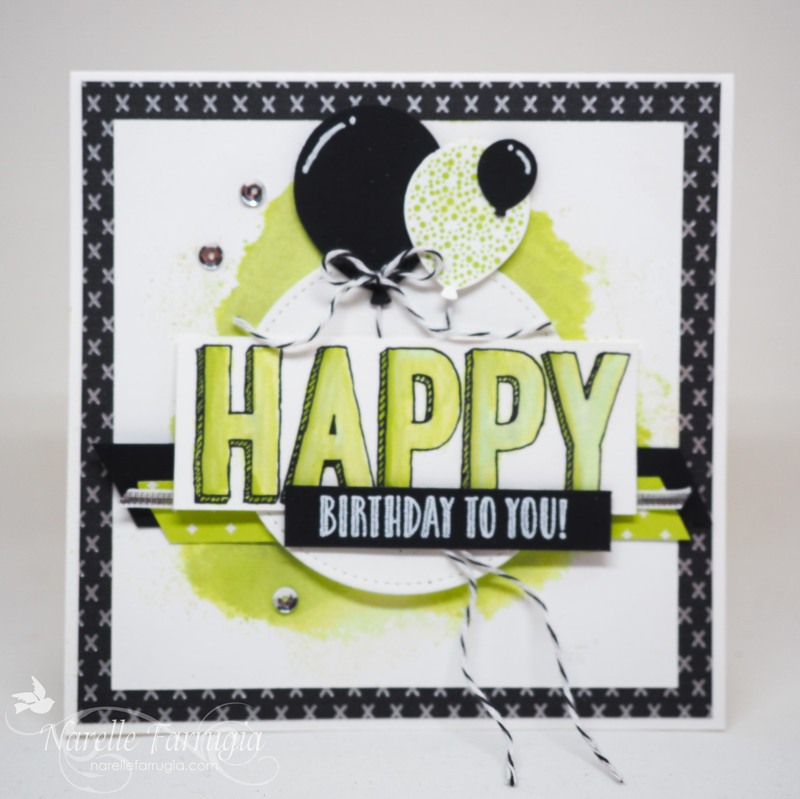 This such a fun and fabulous card, Narelle! I totally love those bright colors. A Very Happy Anniversary to you both! Blessing to you both on 25 years and for the next 25 years! Oh! This is a striking combo, Narelle. Well done! Fab! Just love, love, love the color combo and the way you combined images and fonts in varying sizes. Makes for a wonderful card. Besutiful!!! I’m loving LLT (Lemon Lime Twist) especially with black – just fab Narelle! Narelle your card has such popping colour! I like the reflection detail and the tails on the balloons. I’m loving this new incolors! Looks great with black and white! Beautiful card, full of party happiness! Your card is stunning Narelle – everything about it! Congrats on your anniversaries too!